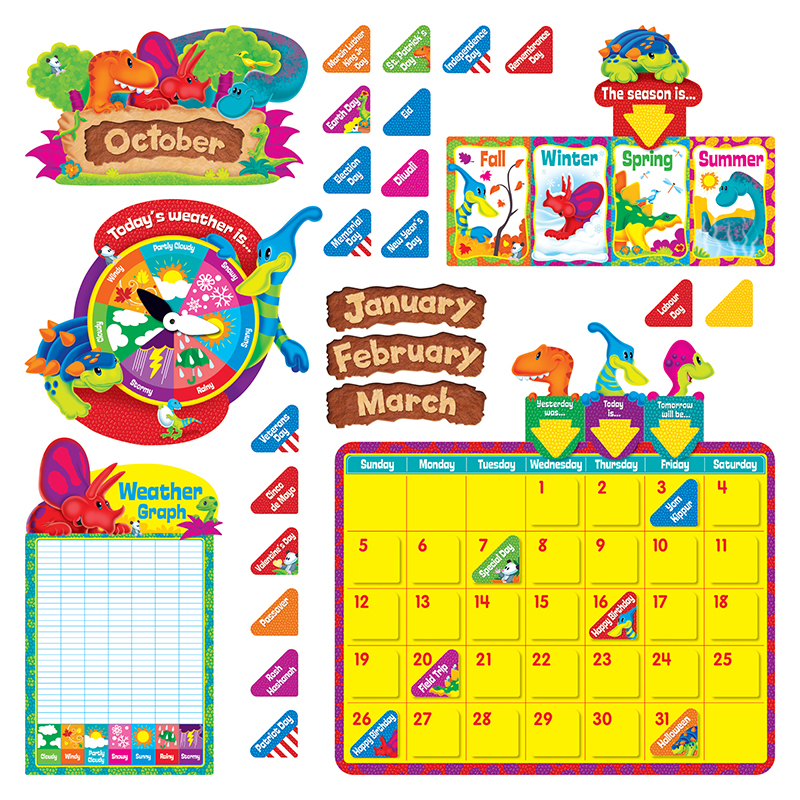 Here's a dino-mite way to learn calendar concepts! Explore and highlight special days, months, seasons, and the weather. Each set includes 17.5" x 23" calendar, weather graph, weather wheel with 2 arrows, seasons card with slider, 33 numbers, separate topper, 12 month headers, 49 special days, blank sign, Yesterday, Today, Tomorrow sliders, and a Discovery Guide with creative activities that teach and delight! 100 pieces per set. Includes 2 sets. Coordinates with Dino-Mite Pals Collection.